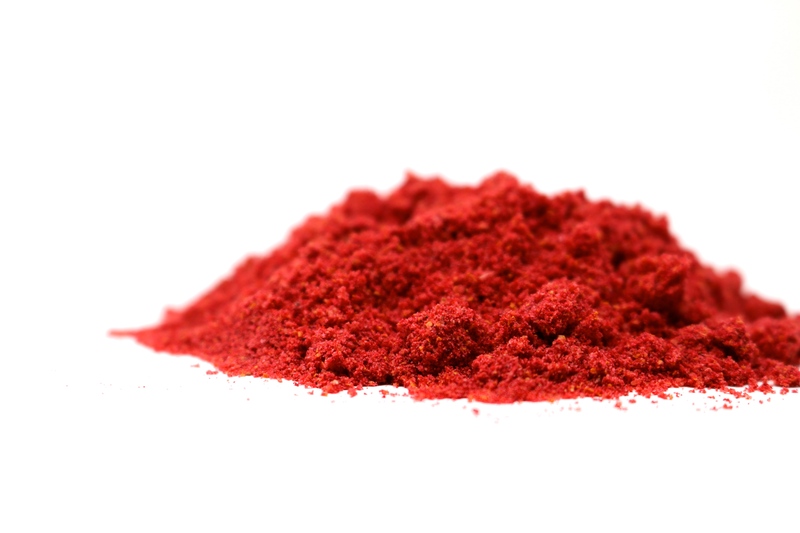 100% Organic, Freeze-Dried Schisandra Powder. 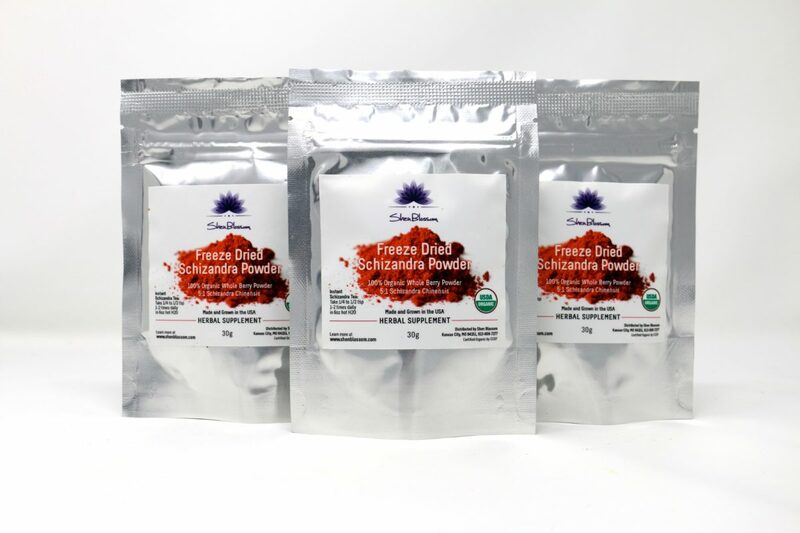 Our freeze-dried schisandra powder is an exciting way to experience a rich, full-bodied schisandra tea with absolutely no waste and no nutrient left behind. Just 1/4 - 1/2 teaspoon in 6-8oz of hot water creates a bright, vibrant tea that contains all the active nutrients from the whole fruit (seed and pulp). Why is freeze-dried powder better than regular dried schizandra berry tea? Unlocked Nutrition- Due to our freeze-dried process, we are able to unlock all the bio-available nutrients from the seed of the fruit where many of the beneficial compounds are located. This makes them easily available so you don't have to over process the fruit to get the benefits. Greater Surface Area- Since our schizandra powder is freeze-dried and powdered, this means you don't have to boil it on a low simmer as in traditional preparations to get all the good stuff. Simply add to hot water and stir for a perfect cup of hot tea. 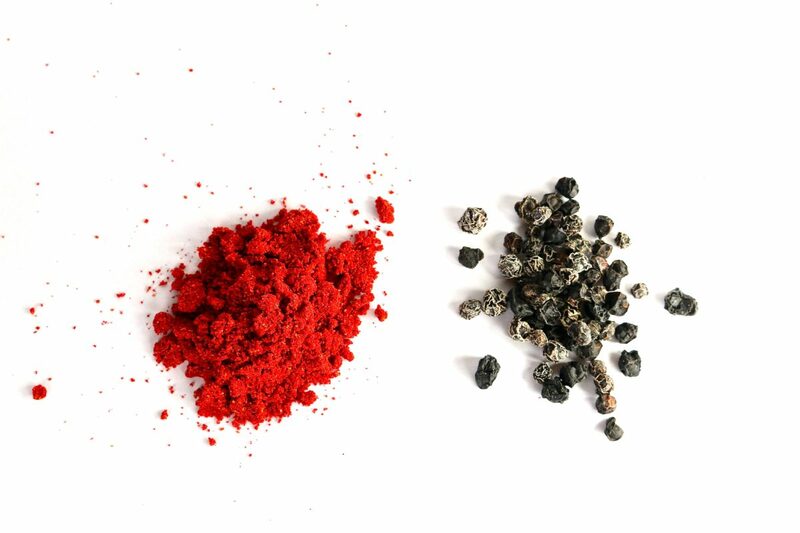 Get all of it- When steeping or decocting schizandra with the whole dried berries, you end up composting or throwing away much of the fiber and the seed material that can be very beneficial to the body if consumed. 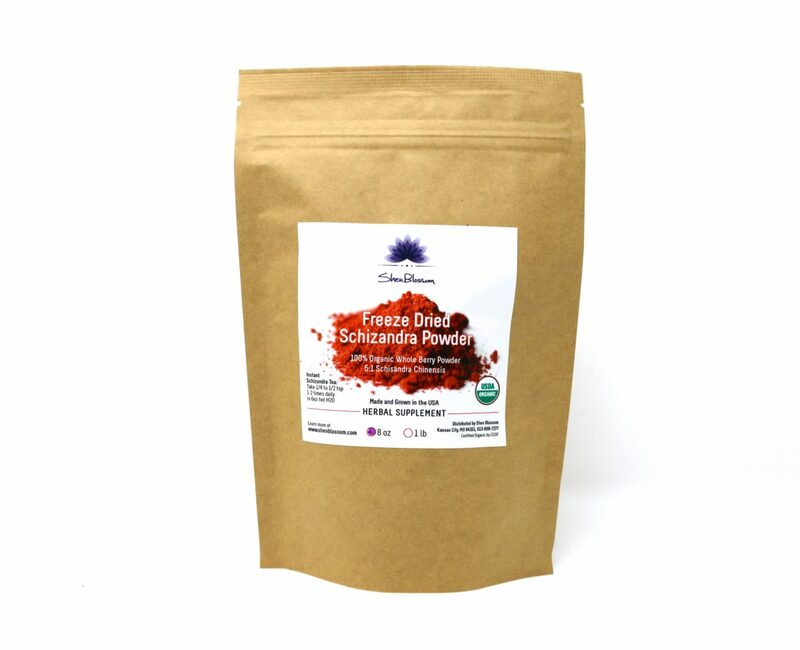 By using Shen Blossom Freeze-Dried Schizandra, you will not only obtain higher levels of anti-oxidants due to the drying process, but you will also be drinking all the fibers and plant material. This will give you all those medicinal components that are missing in decoctions and spray dried powders. 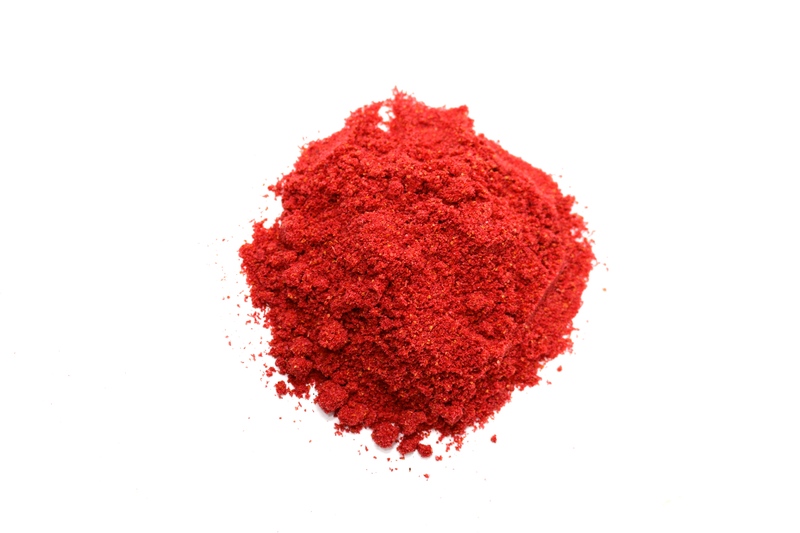 Below is our powder compared to typical organic schisandra used to make tea. Can One Herb do it All? Schizandra Berry is, hands-down, one of the most exciting herbs of all time. 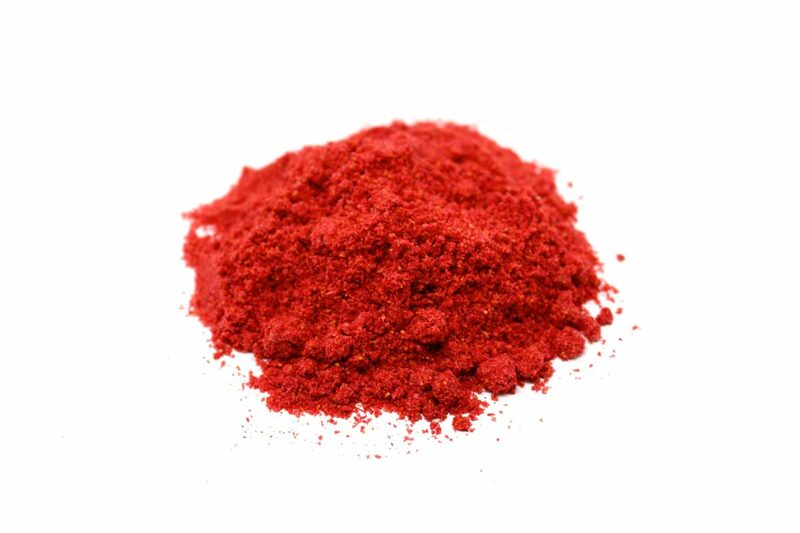 Named by the Chinese, “Wu Wei Zi”, directly translated as “Five Taste Fruit,” Schizandra embodies all five tastes, sour, bitter, sweet, pungent and salty, which accesses all five elements, 12 meridians, and tonifies all 3 treasures, Jing, Qi and Shen, and integrates with the human body with great harmony and balance. Maintaining intake of schizandra for prolonged amounts of time will bring you closer and closer to homeostasis. 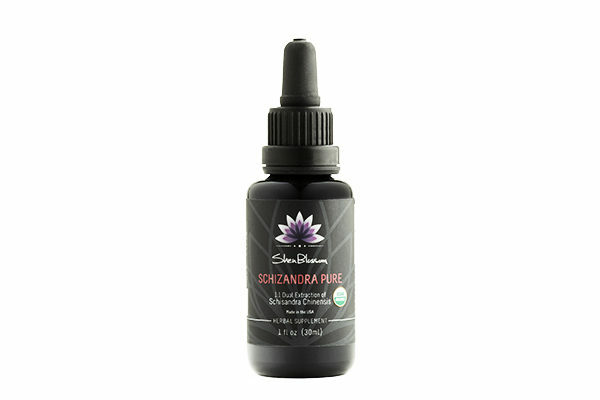 It has been said that after taking schizandra daily for 100 days, profound shifts, both internal and external, will take effect. A gorgeous product worth buying again and again! I have tried other shizandra products and didn’t notice a single thing after taking them. I’ve been drinking this powder as a warm tea every day for a week now and absolutely love it! I have more energy, feel better overall and am enjoying feeling great. So happy I bought four packages as I’ll be sending some to my mom asap for improved bladder and kidney functioning. I met Dr Chang on an airplane flight and he gave me a bag of freeze dried powder. 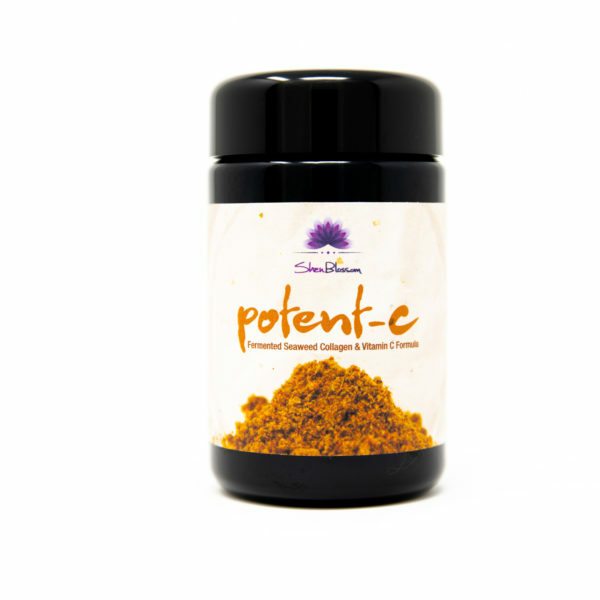 I use it in my morning smoothies and after a month I noticed a shift in my energy and my mood as well as an overall feeling of well being. I’m ordering more. This is in my Top 3 favorite herbs. This is so amazing because none of the 5 flavors are lost when you consume this. This makes a delicious tea, and I can get everyone in my family to consume it one way or another. This also goes great in shakes / elixers. It’s range of flavor just adds balance to any formula (for me). Also, you can just eat it straight and explore every flavor. Of course I notice an increase in wakefulness, attentiveness, oxygen intake (especially during yoga) and just being able to “show up for life” so to speak. My father loves this stuff and swears he gets an energy boost. We drink it in the morning before work and in the afternoon. This is the best Schizandra on the market, don’t waste your time or cheat yourself buying any other. 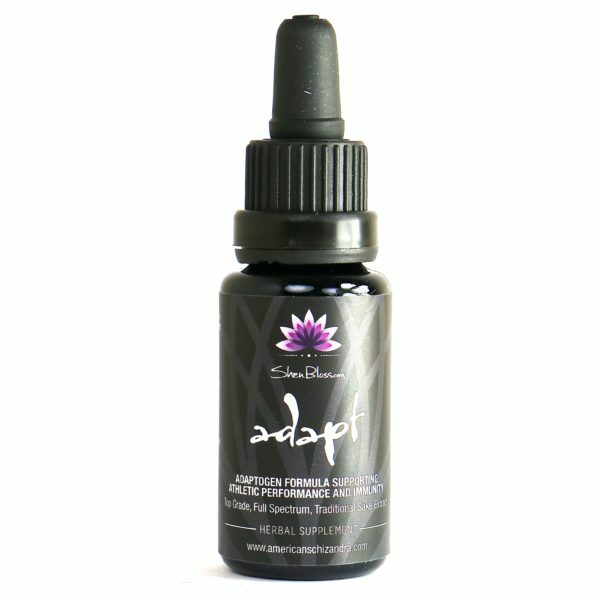 And if you don’t know where to start in the world of tonic / adaptogenic herbs and just want to buy one to start, this my friend is it. An amazing introduction to that world. After consistent use, you will feel a major shift in how you feel day to day. This is a great edition to any positive lifestyle change. You get nutrients that you’re body has been longing for that can’t be found in most other foods in such a high concentration. By consuming this , you let your body be its true self, and give your spirit an environment where it can exist comfortably. The deep vibrant red doesn’t lie. You can’t go wrong 5 stars.